Aluminum Sure-Foot bar clamps in 24", 36", 48", and 60" lengths. Get all the great features of the aluminum Sure-Foot® Pipe Clamp in a size that matches your project! This Rockler-exclusive design is available in 24", 36", 48", and 60" lengths. I use them regularly in my harpsichord building practice; they help make gluing large pieces quick and easy. I made 6 shaker style cabinet doors with ordinary clamps. The results were pretty good. Before making my next batch I bought two pairs of Sure-Foot clamps. What a difference! The doors went together with ease in a fraction of the time. And they were perfectly flat. Bought 2 of the 36 inch ones that were on sale. All I have to say is WOW! Makes glue ups a breeze. All the wood lays flat. I glue up recycled pallets into desks , tables and shelves. etc and it’s perfect! It provides enough pressure for my needs. Some guys say these are toys or questionable quality. Nothing farther from the truth. They look and perform great especially after using the super cheap HF clamps. I actually used a couple of the HF clamps in addition to these. Great for assembling cutting boards. Keeps even pressure, without bowing stock. These clamps are great for the projects I’ve used them for! The bonus was being told by the very helpfull Rockler employee that if they break, I can bring them back. (If breaking during acceptable use of course) rare these days! I like a company that stands behind their name!!! As a newbie wood worker, I purchased a set of these from seeing others who've used them in their projects. SInce purchasing them I feel they've been worth every cent, and I intend to purchase more. Reasons I love this clamp. I have a LOT of clamps, from cheap to expensive, but this is usually my “go to” clamp.....the handle “clears” the table, so you can spin it freely, it’s solid and sturdy, the clamp slides smoothly and doesn’t lock up, lots of grooves for closer tail end adjustments so less cranking, plenty tall on the clamp plates...any of which is nice, all of which make it a top notch clamp. I’m somewhat cheap in my financial motives, but these are well worth it! 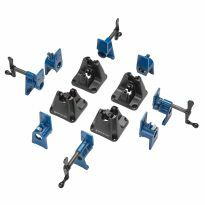 The quality of Rockler products is evident in these bar clamps. We have bought several of these in the past, & this order was to just add to the collection. Reliably stable, very easy to use, very strong, & we will buy more. Excellent craftsmanship on these surefoot aluminum rail clamps! 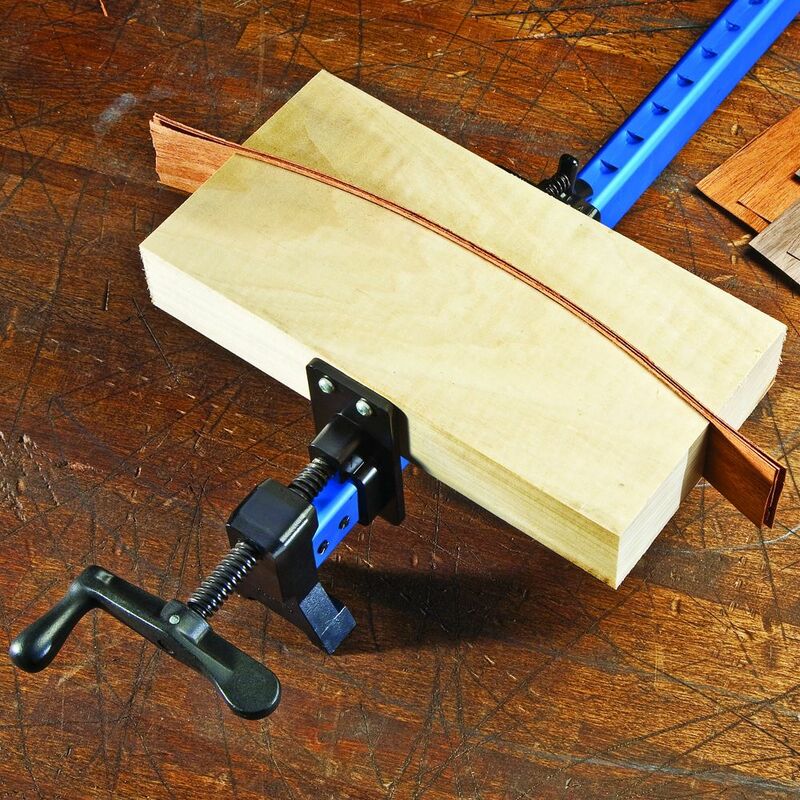 I would highly recommend these clamps to any serious woodworker. .love the light weight and durability. Light but solid. Very pleased--love the ease of turning the clamp handles. Professional in appearance and quality. These have worked really well for me. 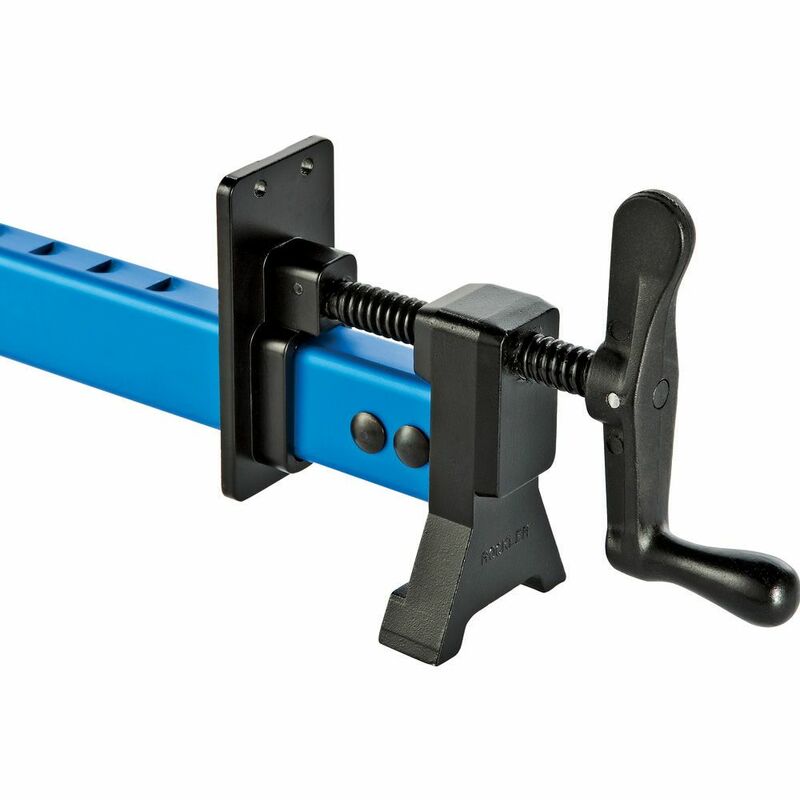 This is a great clamp at a great price. These are great clamps, the are light weight and work well. 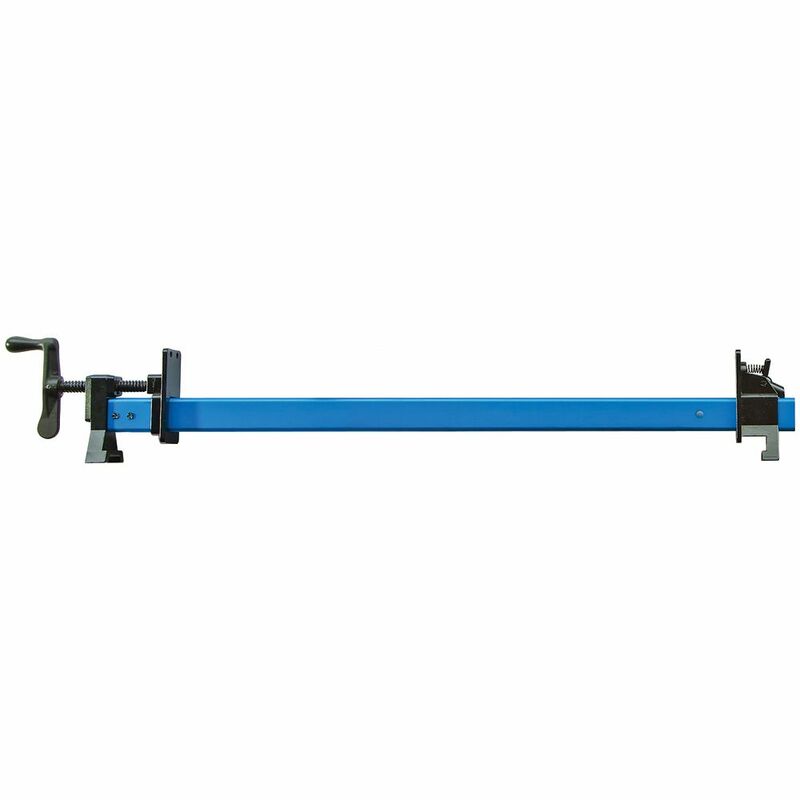 great clamp, use both the 36" & 48" great buy. Light weight and well designed. better woodworking, no holds barred! Trying to glue two flat pieces side by side is a study in frustration with ordinary pipe clamps. 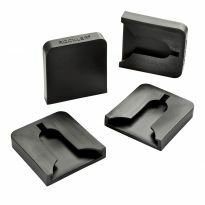 These footed clamps give you a level work surface and more even pressure across the joint. 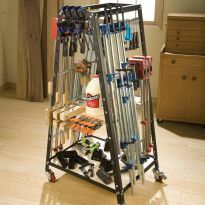 Thanks to Rockler for a great concept! 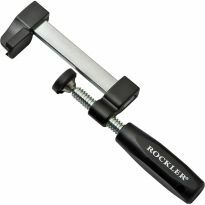 Just received the Rockler bar clamps. They work great! I had some other brand of bar clamps but the Rockler clamps sure do work a lot better and the Sure-Foot makes them even better. Got these on sale and I couldn’t be happier. So far they're holding up great. Used them a couple times on smaller projects. One was scratched up quite a bit when I received it, but I'm sure I'll do worse to them over time. If anything changes I'll update this post (if possible). I don't know exact specs, just that they're working well. Great clamps. Hold up well. Life saver. I love them... I have 6 and am planing on purchasing more. A fantastic tool. Very good quality and easy to operate. I am sure they will last a long time. I'm building my first project that requires 4ft bar clamps and used these for the first time this weekend. 100% satisfied - they're light, easily adjustable, strong and easy to use. Good value for the money. Got 4 of these at a very good price. They work extremely well. Hold a lot of pressure gluing panels together. Will buy more in the future. Nice great to work with. Great for panel glue ups. I wish I had bought 4 more while they were on sale. 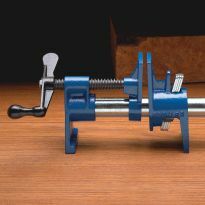 Been in woodworking 65 plus years and steel or cast iron bar or pipe clamps are becoming heavy and cumbersome for the ol’ boy. I bought 4 footers and they’re like working with a 6” C clamp. A little pricey but worth every penny. I plan to buy more. Clamp Reviews looked great. I thought id give these a try for my clamping project needs. They look durable and well made. Cant wait to use them. Great price, lightweight to use. Wanted clamps that would help me keep pieces aligned and these look like they will do the job and be long lasting. Saw them on multiple YouTube woodworking channels where they were favorably reviewed. great deal! always need more clamps. They are good quality, and they were on sale. 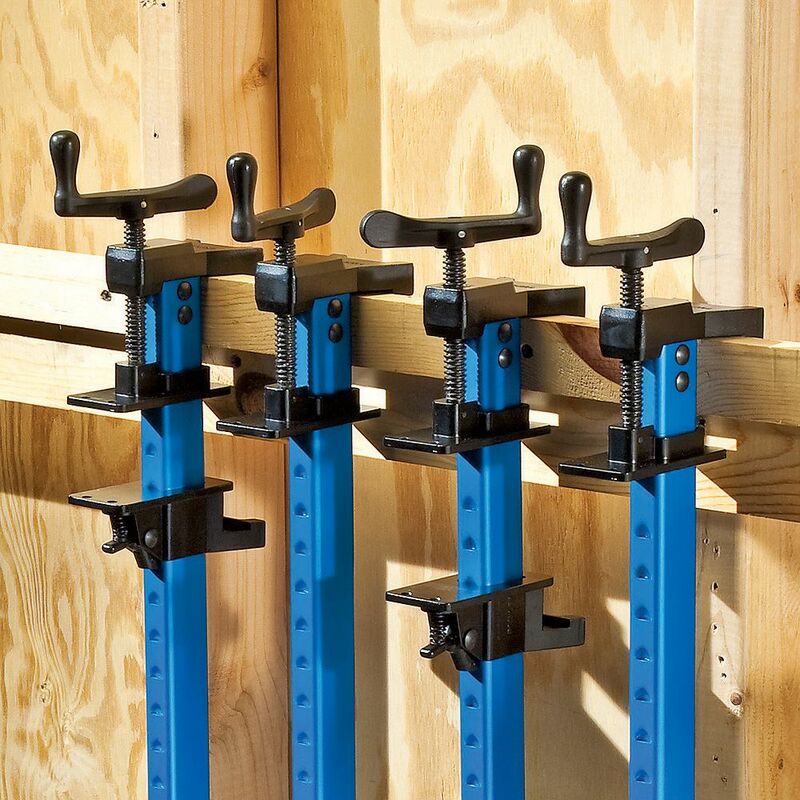 Great price, great reviews ... can't ever have too many clamps! I have several of these clamps already and I really like them. They have some super features in addition to working well. The feet and hanging features are very well designed. Incredible price I had to move on them. Good price. Better product and price than Harbor Fright. Light weight easy to use and clean up light duty clamp. Price. I do not pay for these because they are too expensive so when you sell them I buy them. Have one but need another for other assemblies. First price, next they look like to be clamps that I can use in my shop. So far they are easy to use, good clamping pressure for light to medium use. to add to my collection of these. to increase my order in order to get free shipping. Needed stable clamping for building doors. My 48" are a little too long in some instances. I've seen these used on youtube. Look like they are great clamps. They were on sale and you can never have enough clamps!!!! I Recently bought two of them and used them on a new project. They are by far the best clamps I have ever used. 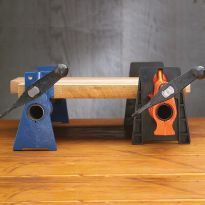 The quality is outstanding and I will never use anything else but rockler clamps. So I’m ordering four more for my woodshop and will continue to order them until I have all the sizes that I need. On sale and good reviews. Been wanting to try these! looking for clamps to glue boards together for table top. Slae price and free shipping was good. Good for quick easy glue ups on cabinet doors. 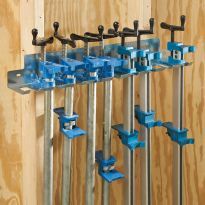 can never have enough clamps and at this price....YES! To make clamping glued items more efficient with better results. I have a number of 36" clamps. Good equipment! 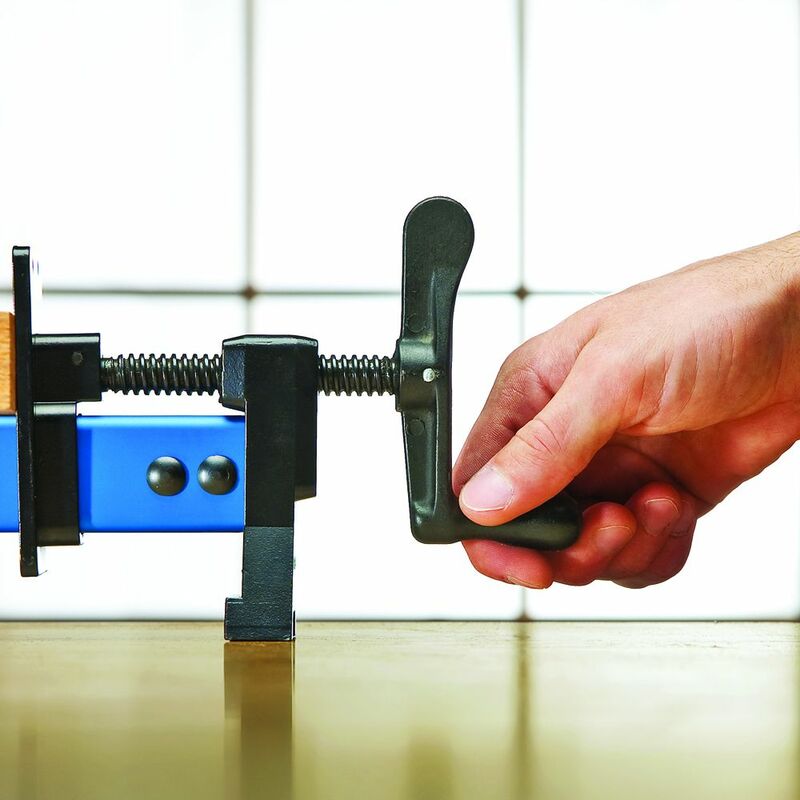 Are the lengths given the working capacity of the clamp or the overall length of the clamp? Jeff, you may have answered a different question than you intended. What is the rated "clamping pressure" for these clamps?? BEST ANSWER: I don't know the official clamping pressure but I can say that they are satisfactory for light to medium clamp-ups. My experience is that too much clamping pressure tends to flex the aluminum bar and bow my glue-up. I instead use these for alignment and to smug up the glue-up (panels or whatever) then use a couple of pipe clamps to really bring it tight and then just snug up the sure-foots to keep everything even. Light to medium duty. The head will snap clean off with too much pressure. what is the weight of item #41815 ? This product has some really bad reviews - was that just a bad batch and have those "tight to turn " issues been resolved? BEST ANSWER: THE ONES I HAVE WORK OK YOU JUST NEED TO KNOW THEY ARE NOT A HEAVY DUTY CLAMP. What is the weight of the Sure Foot Aluminum Clamp-36”? Does the aluminum bar come with the bar clamps? BEST ANSWER: Gentle pressure until glue starts to squeeze out. A thin coat of glue is all that is needed.needed. so it looks like these clamps have a plactic screw and a plastic plate ? and how will that hold up if its not make out of metal? BEST ANSWER: The plastic is sturdy and has not caused a problem in over a year of use. What material(s) are the black components made from? BEST ANSWER: They are a hard abs plastic with an aluminum bar. All other answers are "aluminum." Take a file to one and verify. What is the recommended spacing for these clamps? BEST ANSWER: Depends on what you're clamping. I used these approximately every three feet for normal clamping jobs.